Perhaps the most popular model of psychology and social work is what’s known as Cognitive Behavioral Therapy (CBT). To put it simply, CBT utilizes the notion that thoughts, feelings, and behaviors are not only interconnected, but they also influence each other. Oftentimes, this entails a person re-imagining their given circumstance, creating new assumptions, and ultimately leading to knew, positive feelings and behaviors. Less appreciated, however, is how the opposite is also true- that behavior affects our thoughts and feelings. The parsha this week speaks about the mitzvah of Hakhel- to read the Torah before the congregation of Israel. The verse specifically commands which people are obligated to attend: “Assemble the people: the men, the women, and the small children… so that they hear… learn and fear the Lord…” (31:12). Since when are small children obligated in mitzvot? The Ohr Hachaim explains that despite their infancy and their lack of understanding, the environment will have an effect on them- imbibing them with familiarity to the Temple, to the Torah and to the people of Israel. Earlier in the portion we’ll read this week, the verse tells us: “[The Torah] is very close to you- in your mouth and in your heart to fulfill it” (30:14). Wouldn’t one’s heart come before one’s words? Does one not feel something before they express it? Perhaps the answer lies in the same message. Sometimes we don’t feel it yet. Maybe we have not yet reached the level of feeling or appreciating a given mitzvah, but the mitzvah itself will still have an effect on us. No matter how much one explains the sensation of a 50-foot drop on a roller coaster, there’s only one way to truly know the feeling: doing it yourself. Although we may think spiritual pursuits are different, in many ways they’re much the same. For instance: we may feel ill-equipped to approach the High Holiday season. Perhaps we haven’t prepared as much as we would’ve liked. Maybe we didn’t have the time or energy to appreciate what it means to review, repent, and change our ways. And -truth be told- there are still a few days to do so. But even if one can’t, that shouldn’t deter us from engaging with the process. 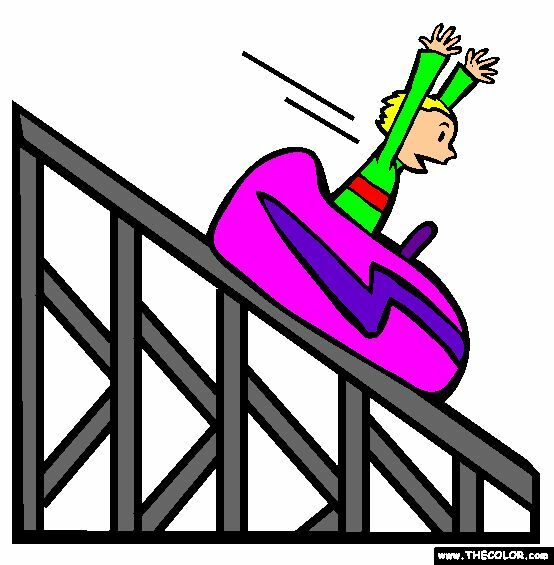 As the children of hakhel, the roller coaster, and CBT teach us- if we allow ourselves to experience it, it can have a profound impact on our lives.